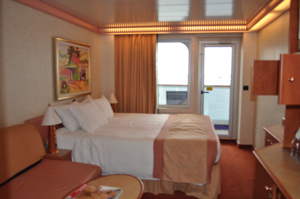 Which Cabin Should I choose on Carnival Freedom? Best for: Budget-conscious passengers who don’t fear claustrophobia. What You Get: On most ships, interior cabins’ rock-bottom prices make up for the lack of a view and a space that’s just large enough to be sufficient. But on Carnival Freedom, the upgrade to an ocean view is hardly a price jump. Our advice: Spring for an exterior room if your budget allows. Best for: The budget-conscious who plan to seek sun on the pool deck. 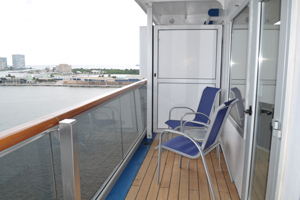 What You Get: These cabins are good for passengers who need more light than what an inside room offers, but who don’t mind sharing outdoor spaces with the cruise ship crowds. 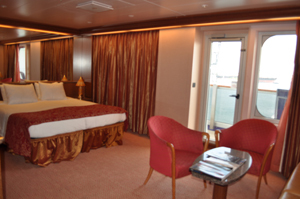 A nice plus: These staterooms are 35 square feet larger than interior cabins. Best for: Passengers who want private outdoor space. 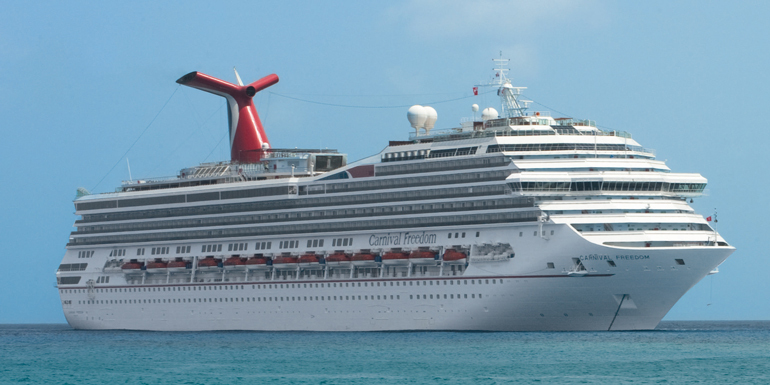 What You Get: Carnival Freedom doesn’t have many quiet outdoor spaces, so you can appreciate the prime feature that this category has to offer. 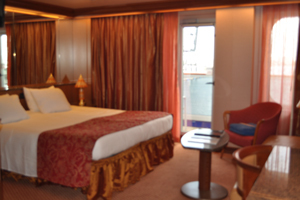 However, unlike balcony cabins that have sliding doors on other cruise ships, these staterooms have a picture window adjacent to a single swinging glass door. Best for: Passengers who need more indoor — but not necessarily outdoor — space. What You Get: These suites have a standard-size veranda, but everything else is bigger and better by comparison. You’ll find twin sinks and a whirlpool tub in the bathroom, and the space measures in at a roomy 300 square feet. Another perk: Guests have access to VIP check-in. Best for: Those who want space but not necessarily a splurge. What You Get: Located on Deck 7, these cabins are amped-up versions of junior suites with more space, both indoors and outdoors. Best for: Passengers who want to slumber in style but don’t want to shell out for the top suite. 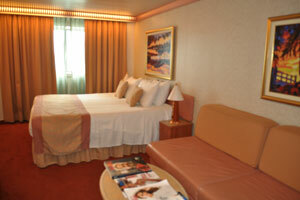 What You Get: At 430 square feet, these are the most spacious suites on Carnival Freedom apart from the top category. Many of these cabins sleep up to four in king-size or twin beds, and a couch that converts into a double. The minibar has enough glassware for a party, and plenty of cabinets and drawers accommodate an entire family’s belongings. 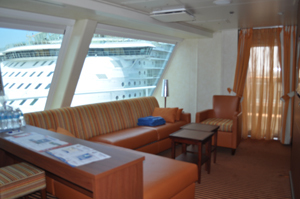 What You Get: These suites near the bridge were added during Carnival Freedom’s recent dry dock. As the most luxurious cabin category on the ship, they offer extras that inspire envy. The living room has forward-facing picture windows that guarantee stunning views, and in the bedroom, you’ll find a second flat-screen TV and a spacious walk-in closet. The 258-square foot balcony has a roof overhead, a shady respite from the sun. How do you pick your cabin category? 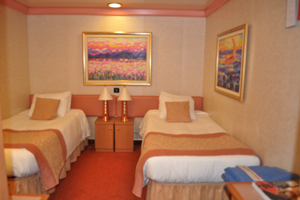 I see there are only 2 beds in the interior cabins, how can 4 people stay in one room?